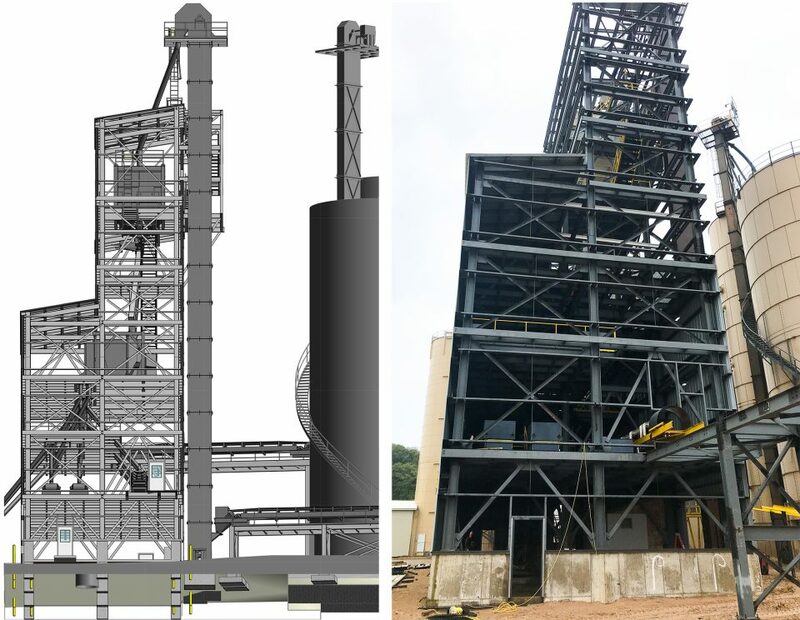 Nugent Sand Processing Addition | William A. Kibbe & Associates, Inc.
William A. Kibbe & Associates provided structural engineering and architectural services for an $8 million frac sand processing addition at Nugent Sand Company Inc. in Muskegon, MI. The 15,000 SF building addition has seven stories and is 99’ tall. The addition houses process equipment consisting of sand bins, vibratory screens and belt conveyors. Over 400 feet of elevated conveyor was required to transport the sand across the site to silos. Structural services included foundation design for 600 and 400-ton capacity silos, bucket elevators, building, truck scales, conveyor trestle, and waste sand bins/retaining walls. 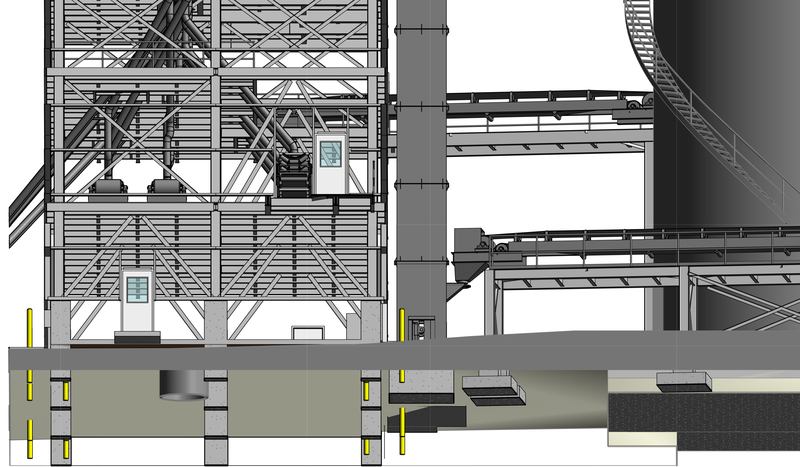 Steel design for the building, sand bin, catwalks, silo platforms, conveyor trestle, stairs, and chutes. Architectural services included coordination of the dry plant building and loadout/storage areas, building plans and elevations, overall process plans and elevations, wall sections and details. Design optimization of material flow, equipment maintenance, safety and access.